This subscription is for customers residing in the US only. If you are located in another country (including Canada), please order the international subscription. 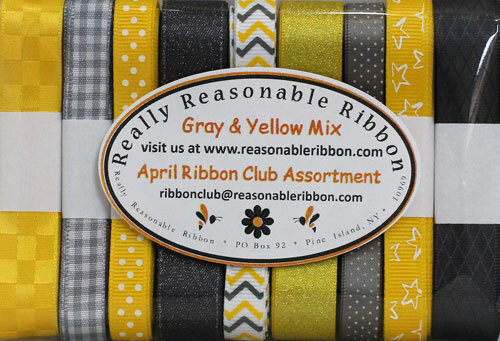 The total price of each monthly assortment is $9.75 and includes the shipping/handling fee too! When you join you agree to allow Really Reasonable Ribbon to charge your account the $9.75 fee once per month at the time your assortment is sent (see below), and we will "keep 'em coming" until you tell us otherwise (see just above). You subscription will begin with the April 2019 assortment. *PLEASE NOTE* This item is not eligible for any promotional offers.